What's the Latest Real Estate Scam Hitting Wellington Florida? Last week I received a cash offer on one of my Wellington listings, which wasn't surprising since 55%-60% of home buyers in Wellington pay cash for their new home. However when I started to look at the offer red flags starting popping up. Now a majority of the homes I have sold this year were never seen by the buyer, but it always raises the question, what's the likelihood of the sale going through? Does the buyer plan on viewing the home? What's the possibility they will cancel the contract? Due to the lack of home inventory in Wellington I myself have written offers for home buyers site seen and once their offer is accepted they will then look at the property. I've never had a buyer cancel a contract after viewing the home, but it does happen and I want to be able to educate the seller about the possible outcomes if they were to accept an offer from a buyer who hasn't seen the home. While everything is negotiable in Palm Beach County Florida it's customary for the seller to pay for the title insurance and use a title company for closing, not an Attorney. Once again due to the lack of inventory some buyers have offered to pay for the title insurance simply to net the seller more or because they have a specific title company the would like to use. The buyer was from the UK and his proof of funds were from Canada, which is strange, but I guess possible. However I have never received proof of funds that did not have a phone number or e-mail address so I could verify the funds. Since the red flags were adding up I googled the buyers name and was taken to a link where countless real estate agents have also received a cash offer from the same buyer and it turned out to be a scam. After a short conversation with the Buyers Agent I had no doubt in my mind this was not a real offer. So what was the real estate scam? Based on the articles I read online it appears "buyers" are submitting cash offers with "proof of funds" and once their offer is accepted they'll MAIL a cashiers check to their Attorney in Palm Beach County Florida. Once the Attorney deposits the fraudulent cashiers check the buyer will cancel the contract and request their escrow deposit be returned to them before the Attorney finds out the fraudulent check never cleared. This is a prime example of why most title companies no longer accept cashiers checks, but a lot of Attorney's still do and believe it or not these scam artists have been making money doing this. After sharing all of my findings with the Buyers Agent she e-mailed her client a link that contained information about the scam, he responded stating he was a victim of identity theft and would never do such a thing. While his response might be acceptable to some the seller and I firmly believe the information we found online is accurate. However after a short discussion we decided to give the buyer the benefit of the doubt and asked him to show us the money by WIRING funds to his Attorney, once received the seller would then consider his offer. To date no wire has been received. Has this real estate scam hit your area yet? The Compassionate Pug Rescue: Looking to Adopt a Pug in South Florida? 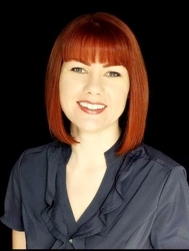 Why is Michelle Gibson our Trusted Real Estate Advisor?